On Monday, Team Icon Brammo released images of the new livery (designed by Icon) that Steve Atlas and Eric Bostrom will be wearing during the 2013 season. The information release includes detailed pictures of not just the Empulse R, but the Empulse TTX, and shows both bikes in action dicing it up with gas bikes at the Thunderhill Raceway. 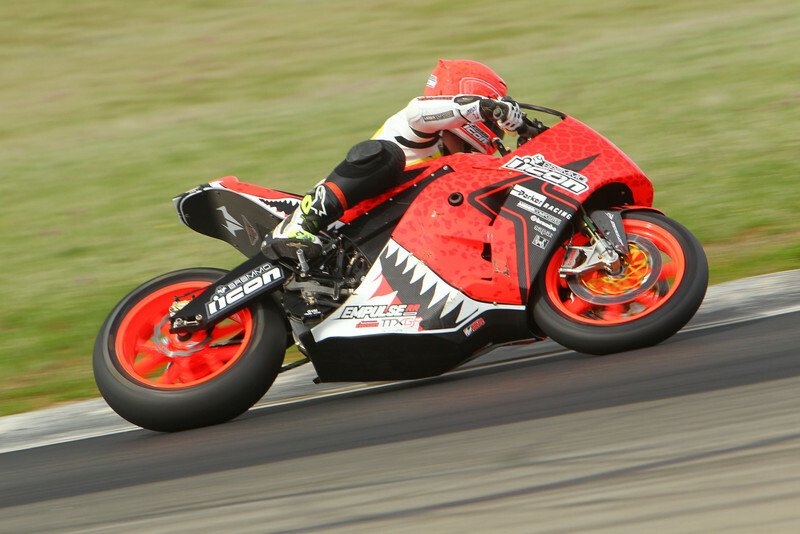 However, the Shelina Moreda fans may become disappointed because even though she spent a lot of time testing the Empulse RR and TTX over the winter, she is not listed as a Team Icon Brammo team member. The two designs are named: ‘Sauvetage’ (Atlas) and ‘Big Game’ (Bostrom). 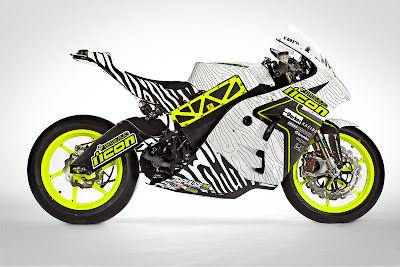 We see below that Brian Wisman calls the design Cheetah and Zebra. 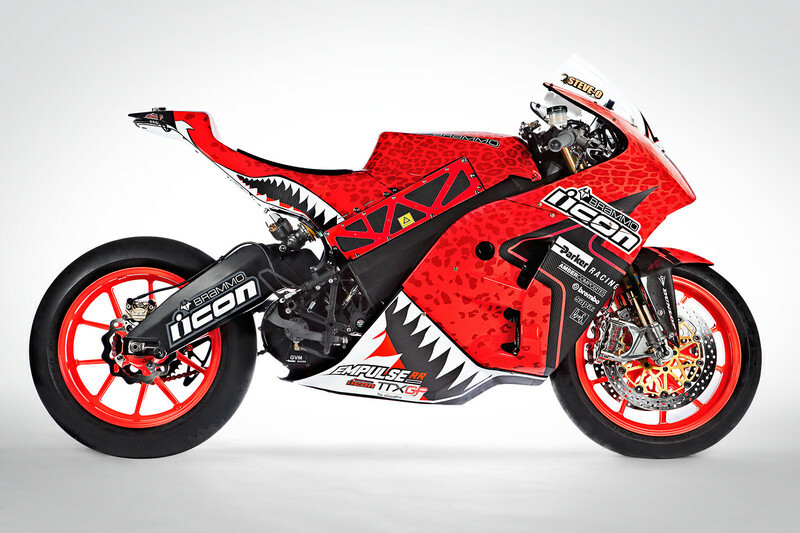 For the 2012 season, Team Icon Brammo's bikes had what they're calling the “Stack” livery. 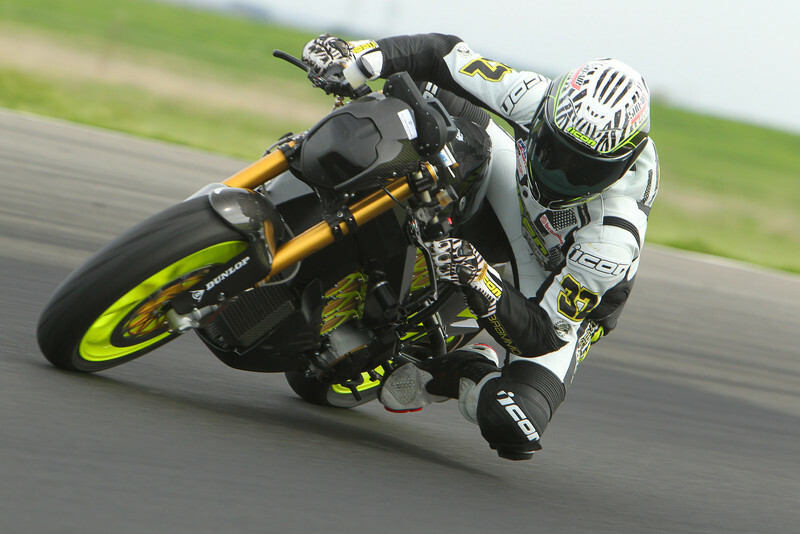 Can you tell that the main business of team sponsor, ICON, is designing gear for motorcycle riders? The press release was all about what the bikes look like, and light on technical details. It does confirm that Steve Atlas and Eric Bostrom will race with Team Icon Brammo in 2013. 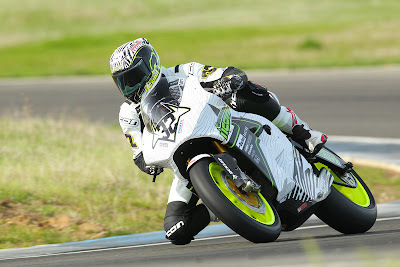 We've been watching Brammo post galleries every couple weeks of testing at Thunderhill, and noted that Atlas was in none of those galleries while Shelina Moreda was in every one. 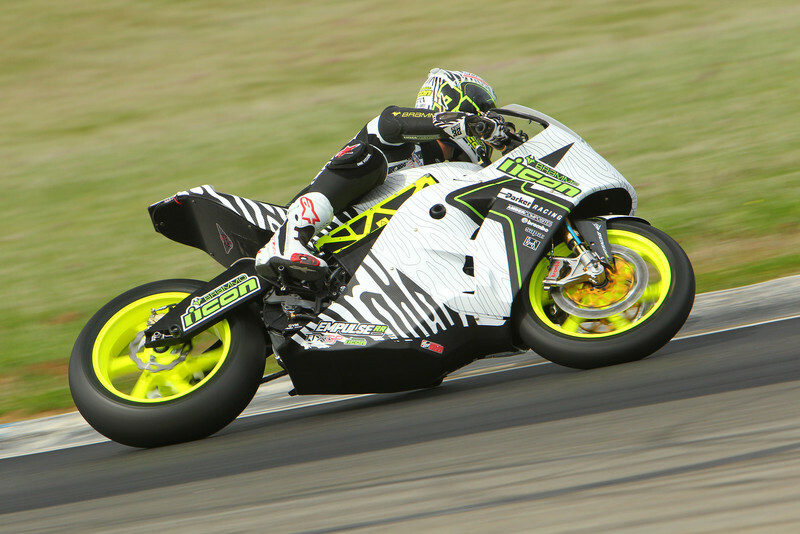 We've suggested before not to read too much into Atlas' absence at the testing events, and perhaps we shouldn't read too much into Moreda's absence from the team roster. 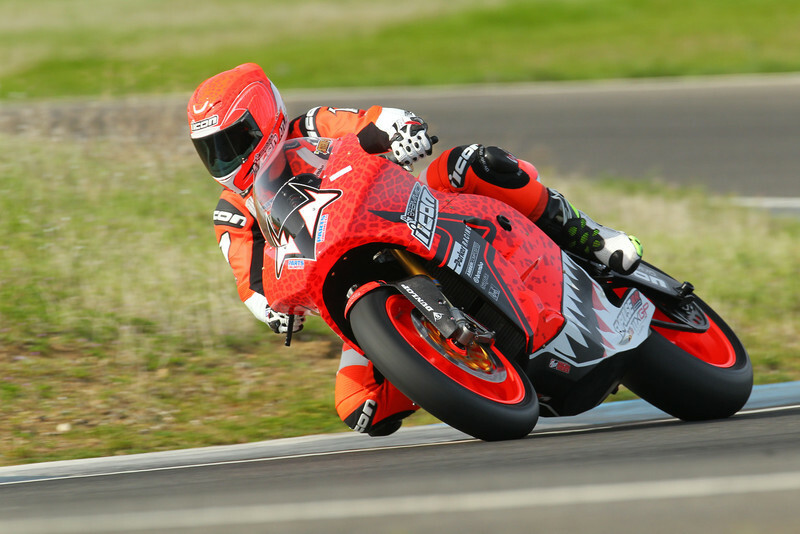 The technical details are that the fairing design is not just different graphics, but "improved" presumably meaning a bit more aerodynamic. That and the bikes will have increased power and energy capacity. But we expected the latter, and we're anxiously looking forward to see what 2013 will bring from Brammo. 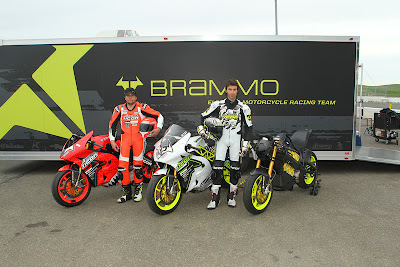 During 2012 the Brammo Boys were hitting 170 miles per hour in race conditions at Daytona.